Telephone bookings can only be made during our opening hours. Tables of 8 or more require pre-booking and a £5 pp non-refundable deposit. Monday, 9:00am-2pm: For Tea & Coffee. Tuesday, 9:00am-3pm: For Tea & Coffee and Lunch (bookings taken 12 noon-1pm). 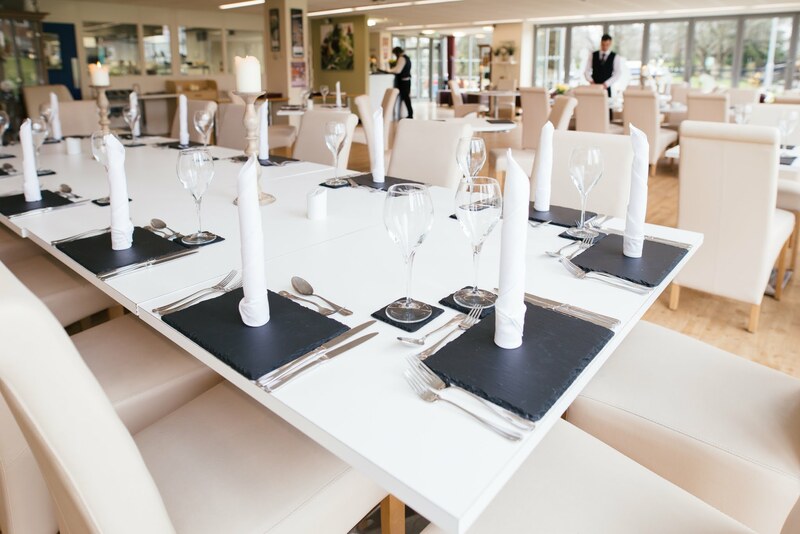 Our commercially run and licensed restaurant in Shrewsbury gives students the opportunity to work in a professional environment and stay ahead of industry trends. 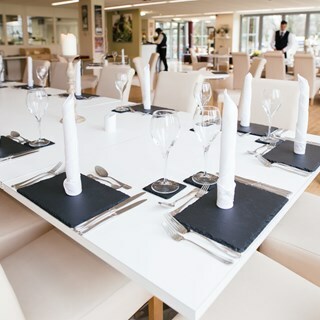 Led by qualified, experienced chefs and front of house professionals, students learn about the principles of cookery, compatibility of flavours, food service and complimentary wines - all to make your meal at Origins an enjoyable experience. Fabulous meal and attentive staff. Excellent menu beautifully prepared, cooked and served. We had a lovely lunch at Origins and hope we can join you again soon. Lovely lunch and the service was great. The restaurant was a bit too cold for us. All dishes are delicious and presented lovely. My gluten free diet was taken care of, making feel confident and safe in the knowledge that all staff where aware of my dietary needs. One tiny moan, my gluten free bread roll didn't come until I was nearly finishing my main meal. It would of been nice to have it with my soup. I look forward to eating here again really soon. The staff are delightful, genuinely wanting to please. Delicious food, expertly prepared. A credit to the college. Superb food, very good service, very good value. Only things to improve would be providing serving spoons with shared dishes, perhaps a little more leisurely between courses, and more prompt with the bill at the end. But these are all minor quibbles about a very good evening's service. A little more food would be nice, particularly vegetables. Lovely staff, keen and polite - the food was amazing. Thank you. All good, can't fault anything. Felt very reasurred about my dietary requirements, with the two young ladies who looked after us, checking with the kitchen each time I had a query. Thank you for singing happy birthday. Amazing food. Loved everything about the visit. Food was lovely with the exception of the Main which was not as well executed as the other dishes. Unfortunately as a group we could not finish dish due to rice being hard in places and lack of seasoning to the Satay. Also one of group did not like peanuts and found the taste in the Satay too strong. Another issue was not enough spice or heat to the dish. There is not an opportunity to view the menu prior to visit to ensure no issues with it and no alternative dish on the night offered. So this was a bit of a let down. The chocolate expresso cake was delicious but lacked the hint of coffee as the name suggested. Would recommend to be served warm also, however as stated was still lovely. The remainder of the food was great, atmosphere was great and an overall good experience. We had an amazing night celebrating a friend's birthday. Service and food was excellent , tasty and very well presented. Lovely Thai food, excellent flavours and well presented. Excellent service and excellent food, it cannot be faulted. Will definitely return soon. I cannot praise the meal we had highly enough. Perhaps the bread could have done with more salt but that's a personal preference and on the honey dessert the ginger gel was a taste too much. Service was excellent and we made a poimt of interacting with the students as we believe that the service should be friendly but professional. Name badges would be good! All told we were delighted. Brilliant as always. Creative food. Great service. Lovely place.